Saw this idea from Bill Allen for pitch trim. I like it but I might change the geometry as drawn. The trim spring always has to pull forward to pull the elevator down and it requires good friction to hold the position which makes the trim handle hard to move. Changing the geometry would give better leverage for the trim handle and required less friction to hold the trim adjuster. You would just have to insure that you can get enough forward trim spring travel for a full frontseat load but it'd be easy to add an extra adjustment point on the rod. I might have to take out my clunky electric screwdriver and try this. Nobody like my spring trim idea! What's a girl gotta do to get a date? 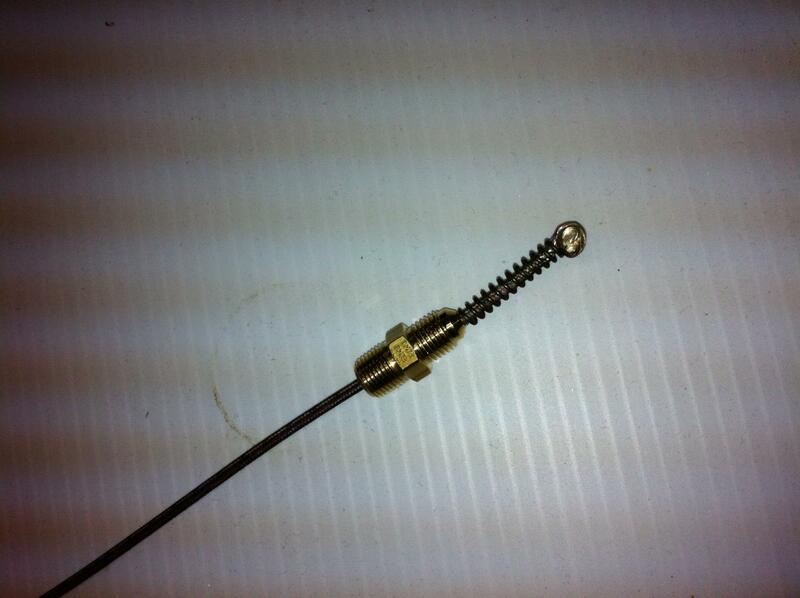 :-) The lever trim above could be used by welding on a tab at the bottom (pic 3) vs. the threaded piece. You DO own a welder, right? Tig preferably. Speaking of Tig, this fellow has an interesting bike-building channel with lots of discussion of Tig. He is very meticulous and does some nice work. Ain't the internet great! So many things to learn. I fixed my old air-conditioner with the stuff on Youtube. Really found this chap's discussion valuable. He talks like the good folk around me. 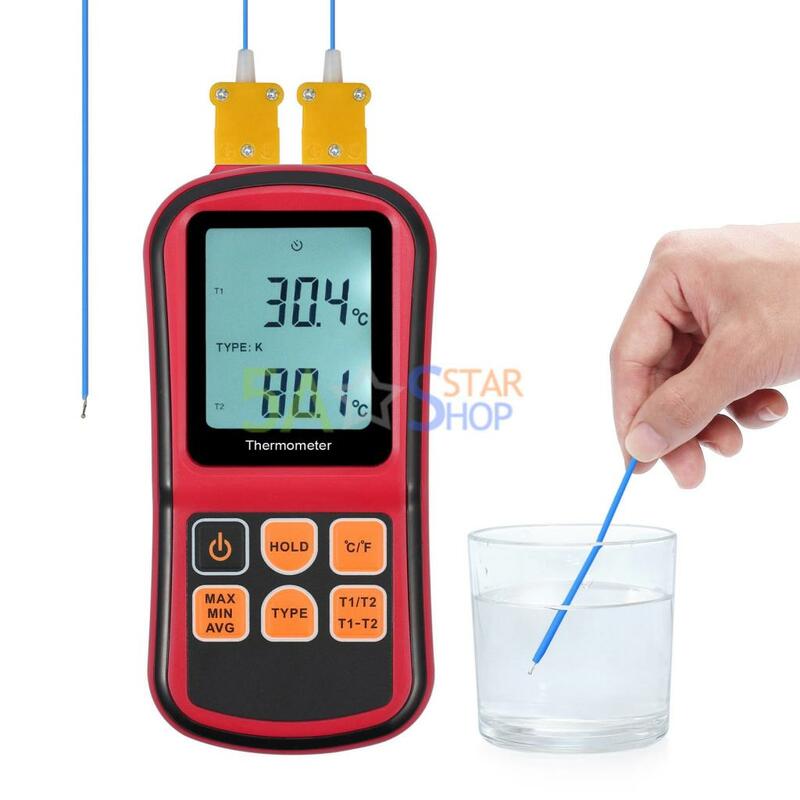 I bought one of these "Digital Thermocouple Thermometer" thingys on Ebay to do some HVAC measuring. They are cheap but seem pretty accurate. I tested it in boiling water and there is a way to test them with ice cubes. It occurs to me that if you want to do some CHT measurements you could clip the leads to various places on the cylinders and prop the device up in the back seat or extend the leads to to the front seat. Autoshutoff after 8 minutes. 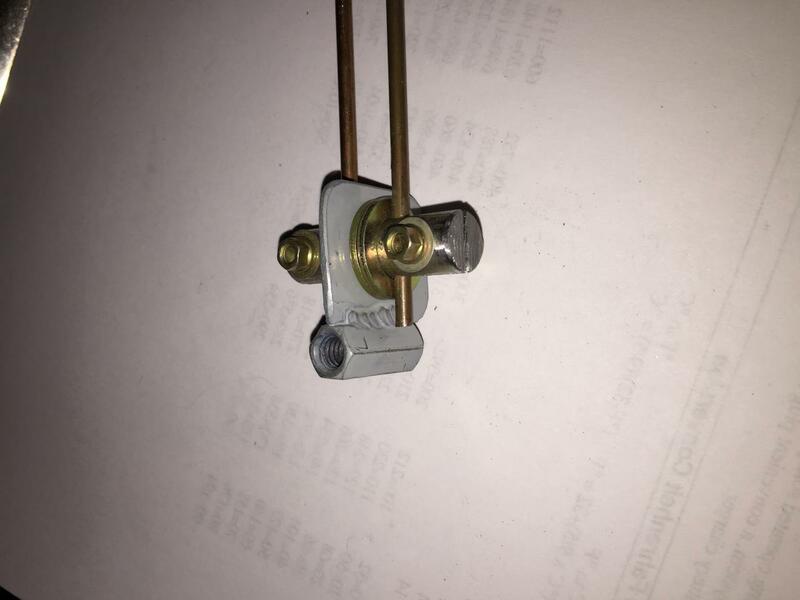 You can buy the thermocouple wire from Omega. Probably find it on Ebay too. There are all kinds of neat, cheap devices on Ebay these days. 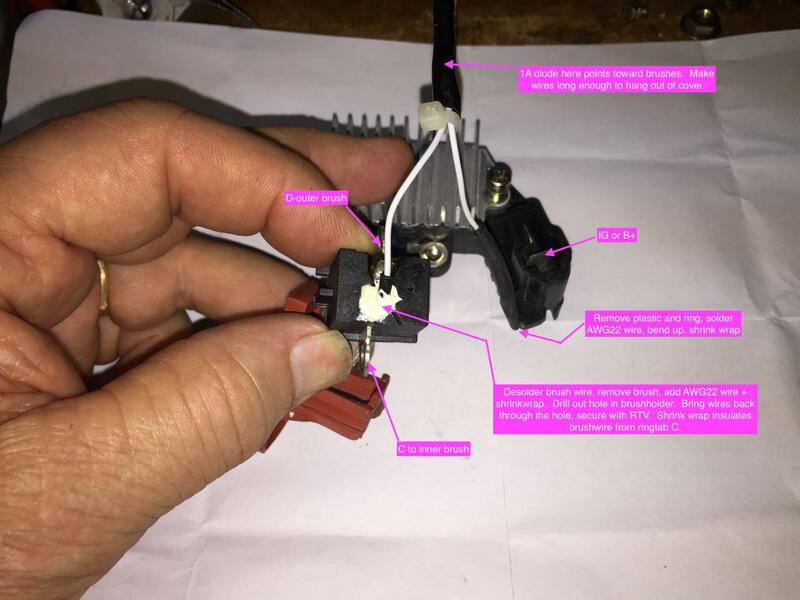 I use the little PWM devices for LED dimming. Pic 1 from Berkut13.com. Leaves (plural of leaf) of baffle material have a large outside radius while standing up but they fold to a smaller radius when the cowl goes on. If there is no break in the material, it ripples as the radius gets smaller and leaks air. Using individual leaves lets them slide and overlap each other, decreasing the radius without rippling. However, every break in the leaves is a potential air leak so the material must overlap neatly and the fewer leaves used, the better, as long as they lie down without rippling. Riveting the leaves to the aluminum with some overlap seems to help, too. Pic 2. Sometimes you need a baffle to curve a little or a lot. Riveting a straight side of the material on a curve will force the outer radius to curve. Using a bit of #2 along with #1 will give an initial curve to a flexible baffle so that when the cowl is installed it wants to go in the right direction. In pic 1, the side baffles appear to stick straight up and the cowl will tend to force them to flop inward--the wrong direction. It's a good place to rivet them with a little outside curvature. On the Cozy, I "fixed" the problem by using short baffles and making a dam in the upper cowl for the baffle material to seal against. Doing it again, I would probably try riveting them with some outward curvature. (1) The output of the alternator is controlled by the field voltage which is normally set by the internal voltage regulator. We want to bypass the internal regulator and have the field controlled by an external regulator in order to have over-voltage protection. (2) Most Densos are “N” type alternators that regulate the field voltage downstream from the field windings. (3) It helps to know that before modification, ringtab C on the brushholder (SEE PICS) is connected to the inner brush, the diode array and the IG input. 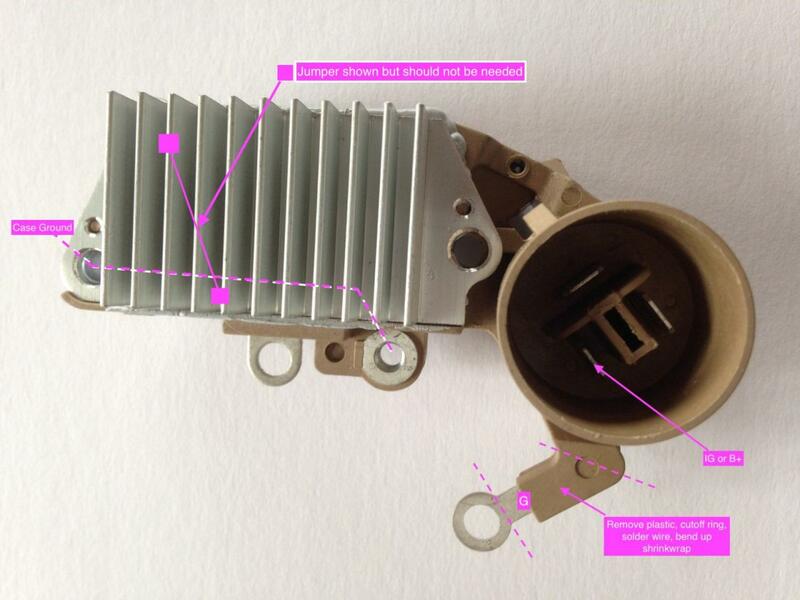 Remove three nuts and the plastic insulator on the large output stud and remove the cover. Remove two screws [C, D] that secure the brushes. Caution: when reassembling: don't over-tighten screw C which goes into plastic is easy to strip. 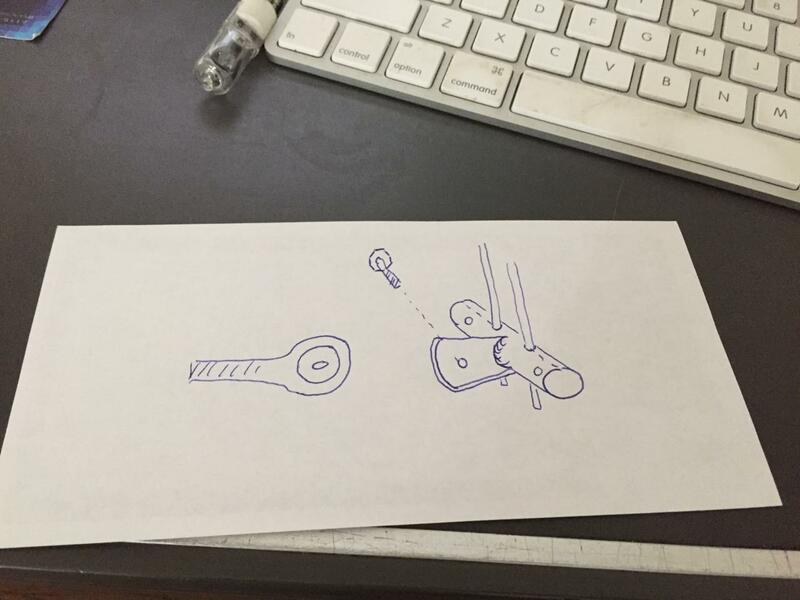 Remove small screw [E] and two long screws [F]. Lift out the voltage regulator and brushes. 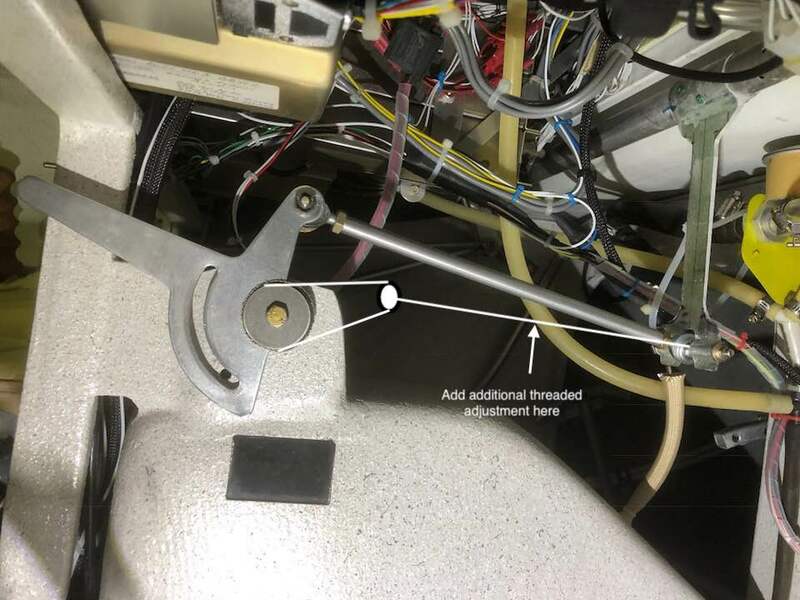 With a Dremel wheel and pocket knife, remove plastic on the arm [G] that connects to the plug's IG or B+ tab to the brushes. -----Unsolder the lower brush at the back of the brushholder (i.e., the inner ringtab C brush). Remove the brush and spring. Solder an AWG 22 wire to the brush wire and cover the solder joint with a piece of shrinkwrap. -----Drill out the hole in the brushholder big enough to accept the soldered brushwire/AWG 22 wire/ shrink wrap. -----Bring the AWG22 wire through the brush hole and secure the brushwire/AWG22wire/shrinkwrap in the former solder hole with RTV. Allow to cure. 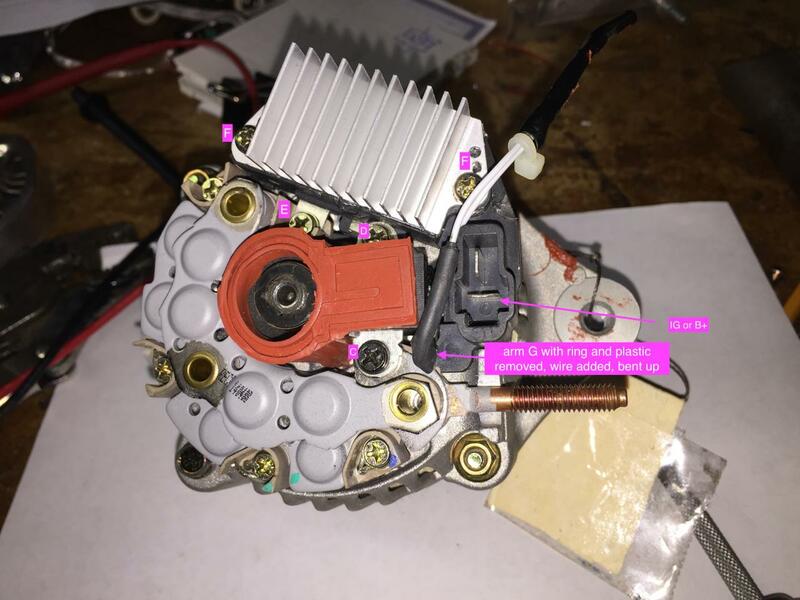 The shrinkwrap will now isolate the inner brush from ringtab C.
-----Connect the two new AWG 22 wires with a 1A diode to make a pigtail that will hang out of the alternator when the cover is replaced. The diode should “point” to the brushes. It prevents feedback spikes to the external regulator when the field current collapses at turnoff. Note: When the brushes are reinstalled, ringtab D makes contact with the case (ground) via internal wires in the voltage regulator. Some sites say to dig out the regulator and fill with the hole with inert stuff. If you do that you will have to install a jumper from ringtab D tab in the regulator to the ground tab in the former regulator. That jumper is shown if you go that route. The tabs inside the former regulator are not as you might think. Comfirm the intenral regulator tab for ringtab D and the tab for ground with a DVM. When you're finished the current path is from the IG post, through arm G to the diode, to be back of the brushholder to the inner brush, through the field windings, back to the upper brush, to ringtab D and through internal wiring in the regulator to the case/ground. Maybe I posted this before. Dunno, getting old and can't remember what happened yesterday. Anyway . . . This is how I make CHT sensors for Lycomings. Do you get good service life out of these? I'll be needing 4 of them in the future. It looks like Dynon markets them for $38 each, how much does it cost you to build one? Do you also build your own EGT sensors? A bayonet CHT sensor should last almost forever--just limited by breaking one of the outside wires. I have never tried to make EGT probes which are protected from the corrosive gases in a stainless tube. However, with EGT, it's the relative reading that's important so maybe the wires (K-curve) could be clamped to the outside of the pipes and work just as well. The springs are some stiff little springs I had on hand. No spec but check McMaster. A bayonet CHT sensor should last almost forever--just limited by breaking one of the outside wires. First, I am always impressed by Kent's willingness and ability to make stuff that most folks just purchase. Second, you might think that a CHT probe should last forever, but I've had two or three die on my over the course of 15 years. I have (for the past 10 years, anyway) used Dynon probes with my Dynon EMS. 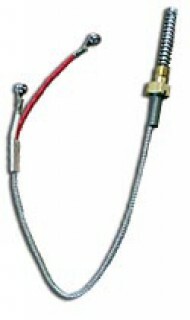 For the CHT, the fitting has a 3/8-24 thread. So for CHT probes, I HIGHLY recommend using bayonet mount probes (which the $38 Dynon probes are), since you can install and remove them with a quarter turn, and it's easy to adjust the compression of the spring to achieve good contact. Having worked on many engines that have the probes screwed into the head, it's a total PITA to install/remove them, whereas installing the bayonet mounts themselves only requires a long, large slotted screwdriver - the probes themselves install with fingers into the adapters. Saw these pics (1,2) on a FB page. The chap was asking about improving the flow in the circle (He might just have been getting a pressure pulse from the prop, I dunno.) Anyway, what grabbed me were the size of those cowls. OMG, that's got to be causing more drag and prop inefficiency than the piddling disturbance at the boat-tail. 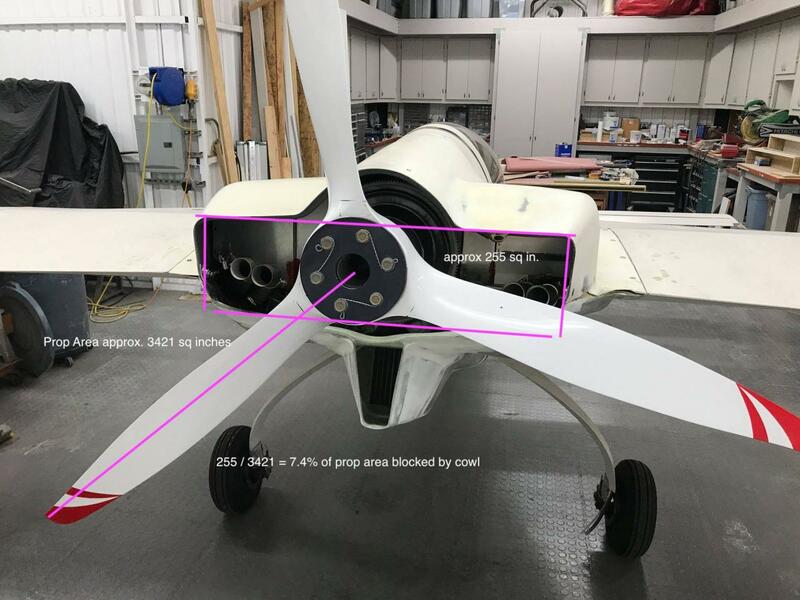 Taking some measurement off his pic, it looks like 7-9% of the prop disk area is blocked by the cowls. Then there is the drag of that blunt rear-end. Imagine what the flow is doing: It comes over the cowl. 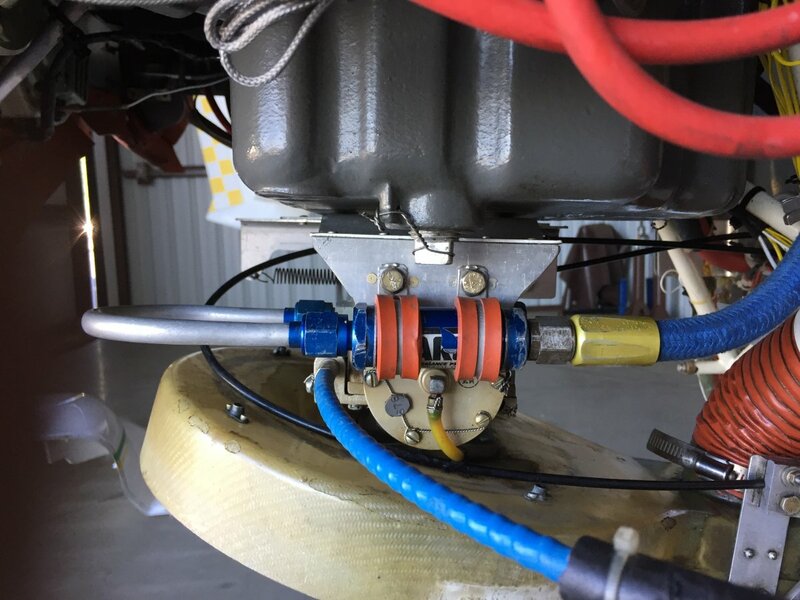 It can't make the turn over the forward cowl bumps without separation and turbulence, so a turbulent flow maybe several inches deep rolls over the cowl and is streamed into the prop. Moreover, part of that flow has to fill in the space left by the aircraft and turn a sharp corner at the aft edge of the cowl to do it. 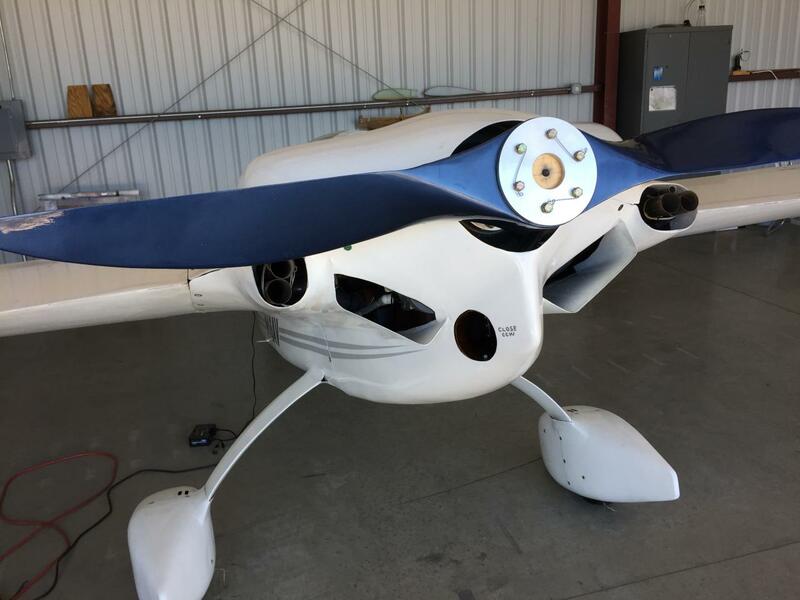 Can you imagine the turbulence there--right where you would like to have organized smooth cooling air coming out of the cowl and organized smooth flow into the prop blades? When I built my cowl (pic 3) i was trying to avoid a big blunt cowl but, of course, I used downdraft cooling so it doesn't fully apply here. Nevertheless, my EZ cooling was terrible until I added those two outlets below the cylinders. My initial idea was to have most of the exit-air flow out around large exhaust pipe holes, however, that didn't work. The two outlets made a huge difference. I closed down the exhaust shrouds, too. One might say, "OK, I will use those sort of bottom outlets but I will put them on top because I have updraft cooling." 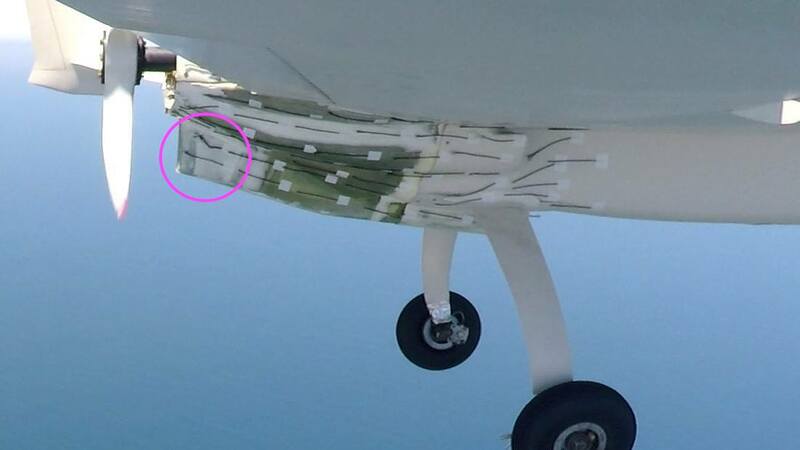 They might or might not work because the bump-turbulence above the cowl doesn't promote good flow out of top exit. 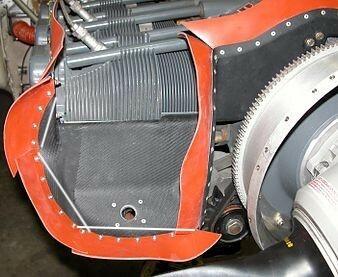 Many people have tried louvers and ducts on top of updraft cowls. Sometimes they work, lots of times they don't. I like thinking about these aero problems but they are very hard to test and compare unless you have the patience to completely rebuild the back end of your airplane and see what works best. I would love to discuss these ideas with the FB OP but not on that worthless format. I agree. 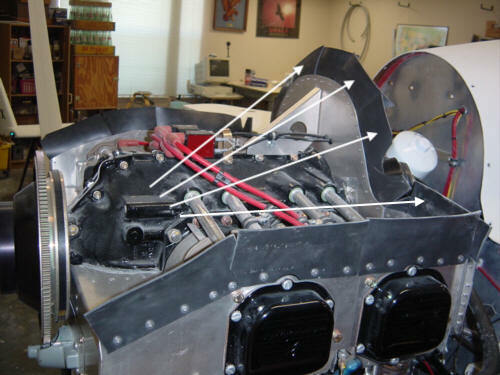 It seems the huge cowl outlets may be an attempt to overcome cooling issues elsewhere in some cases. Your design is very interesting and certainly unique. The location makes a lot of sense for DD cooling. Do you have any photos of oil-flow tests or tufting? My only concern would be a separation bubble growing forward if the airflow cannot conform to the curvature back there. I didn’t do any tuft testing. The airplane Is sold now but most of the tinkering and testing I did were to improve cooling. 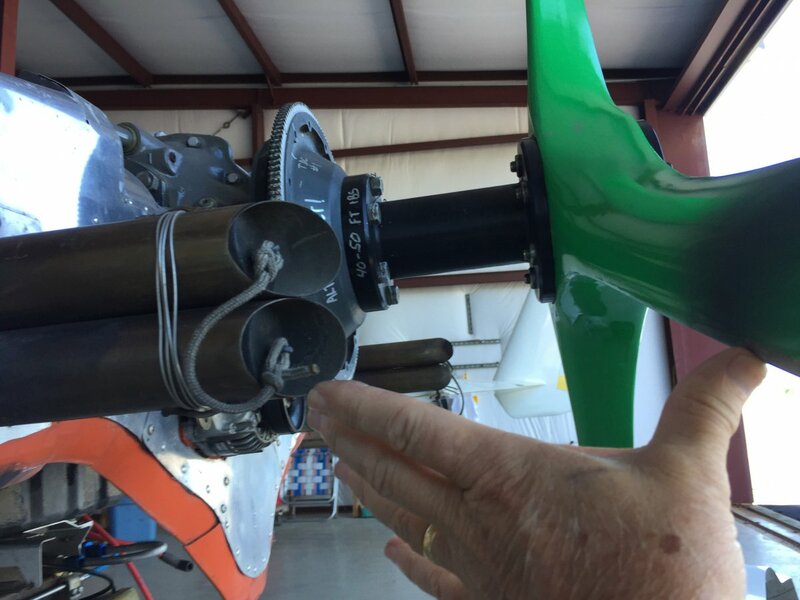 With a bulky engine that terminates in a prop, it’s pretty hard to make a cowl with a ideal taper. I was able to use a 6” prop extension. Most guys use an 8”. That would have allowed a litte finer taper. Most original builders figure out the antennas as they go along but if you are buying a canard airplane, you might not know about Jim Weir and his antenna book. The most complained about-problem for years and years is that Jim is slow to fill orders for his kits. You can buy the cable (usually RG-400) cheap on ebay, the toroids from Digikey, and copper foil from a hobby supplier, a stained glass supplier or cut it from rolls of thin copper sheet. Put Comm antennas in each winglet! Jim is a funny guy. I had the chance to attend an electronics presentation of his at Osh a couple years ago and was "edutained" throughout. I may take you up on this challenge and order my antennas from him just to see how long it would take. Bravo! Especially the stove door braid! These exhausts are not from my Cozy but they reminded me of something I've been puzzling over: My exhausts were too black. Apparently I have just not been leaning enough because on a recent trip to Ohio I really leaned the heck out my Ellison TBI and the exhausts were a nice tan color like the lower one here, on landing. I was flying at a reduced power setting on that trip and had the Ellison mixture almost all the way back to cutoff. It was so close to cutoff I took the cowls off to check the linkage and make sure I was getting full-throw on the mixture lever. At about 2400-2450 RPM and 7500 to 9500 MSL I used 25 gallons in 4.4 hours or 5.68 GPH including taxi, climb and letdown. However, I have one cylinder, #4, which is noticeable blacker and I think it is using oil--maybe a shade darker than the upper exhaust here. My oil consumption is about 3.5 gph--not very good. 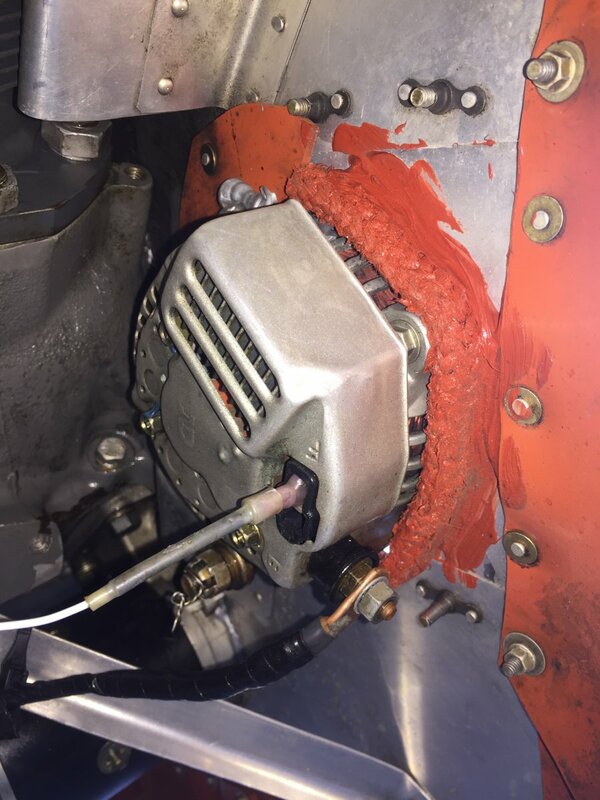 Lycoming says high oil use can result in detonation. The maximum is 2 quarts/hour. 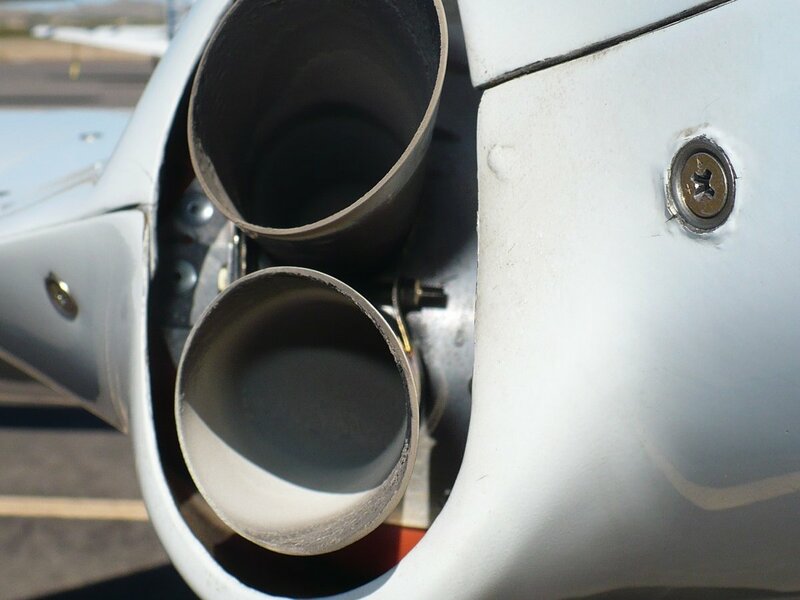 Some hours ago, I honed and re-ringed #1 and #3 and their exhausts look OK. It bugs me because all four cylinders were professionally reconditiioned at an earlier date, I was careful with break-in, and three of the four have used oil. When those cylinders came back from the overhauler, I did not remove the pistons to examine the hone and the cleanliness. That's a mistake I won't repeat. 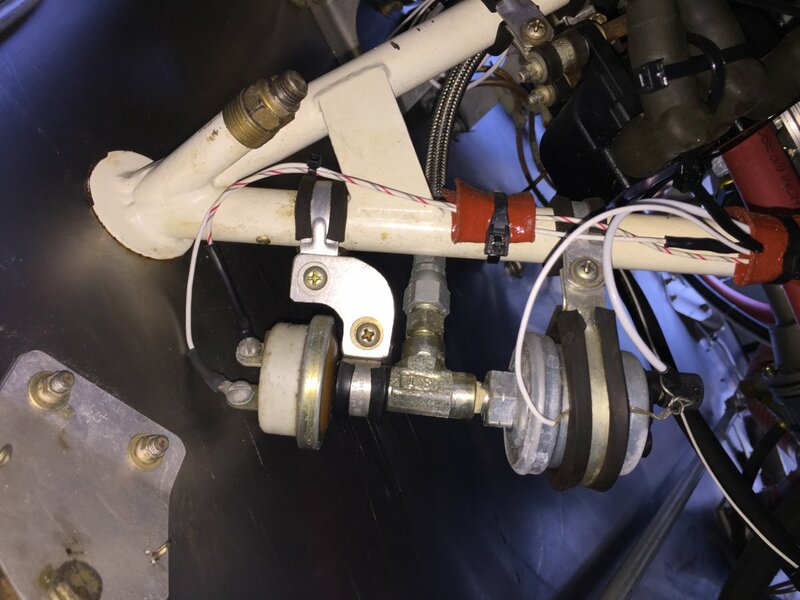 Typically, the overhauler inserts the pistons and you only have to pull them out far enough to install the piston pin and connecting rod. Another thing I saw when this engine was new (before the last recondition) that bothered me. I found grit in the engine--I can't recall if it was intakes or exhausts--as if the overhauler did not carefully flush the cylinders after honing. Geez, can you trust anybody!? I have learned, if you want something done properly, do it yourself! More than once I've sent something out to be done professionally only to have to re-work it myself after getting it back. Of course, that isn't always practical. It also seems that Lycs perform quite inconsistently - some seem to run well almost forever, others have issues from day one. Perhaps something to do with utilization in some cases - I've flown a lot of hours on O-320s and -360s in flight schools, they were generally consistent with very high utilization. Though even then some were better than others under identical use. I presume your oil consumption is 3.5 QUARTS per hour - otherwise, you'd be out of oil in about 2hrs at 3.5gph, and I'd suggest looking for a large hole somewhere. Yep, qph not gph. ? quarts per hour? In which case you're WAY over the Lycoming specification of 2 quarts/hour that no one in their right mind would fly with if their engine was using that much oil, or hours per quart, in which case you're certainly on the high side of usage but not crazy high. With an Ellison, you will be lucky if you can get all four cylinders to lean out the same amount before the engine gets rough - I never could, with mine, no matter what I tried. Hence the move to FI, and now all four cylinders lean very nicely - always white inside all four pipes, and I can get from 2750 RPM to 2400 RPM at altitude merely by pulling back the mixture. Anything in between is doable, and anything less than about 2650 RPM is LOP. Ok, will try this again: 3.5 hpq. I can make the same reduction (2750-2400) by leaning the Ellison at WOT. Yeah, FI is nice but when folks ask me about my Ellison I estimate it'll give them 85% of the performance advantage that one would get from FI. 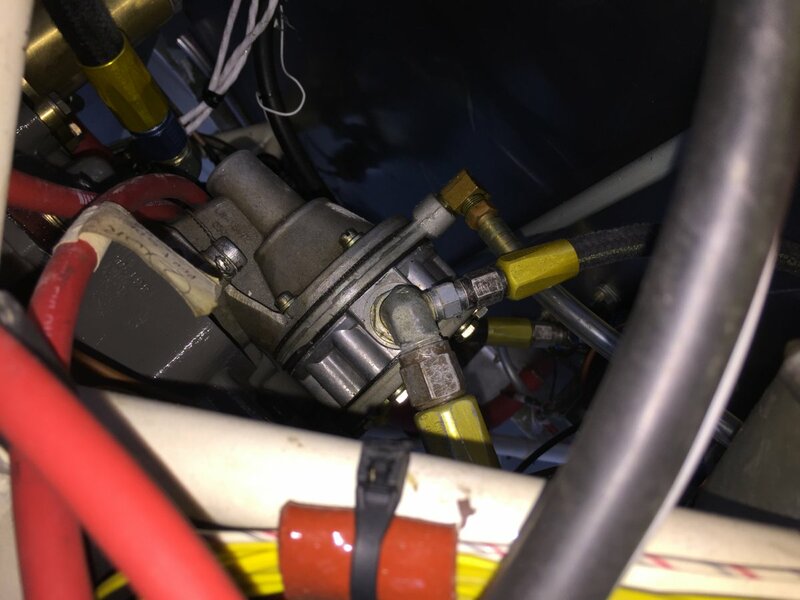 With the Marvel carb I had, I'd get a well-defined lean point where the engine begins to stumble. With the Ellison on the Cozy, I can lean and lean until the engine won't run anymore but it's still very smooth. On the EZ, the engine would reach a point where there was a bit of stumble but it was still very lean. I suppose the decider for which to use-FI or an Ellison-is money and/or the desire for maximum HP. There are no hot-start problems with an Ellison, either. Ok, will try this again: 3.5 hpq﻿. Which is just under 0.3 qph (quarts per hour). However what got me thinking today was that in theory, I went from a 64" X 76" prop to a 61.25" X 81.7" prop using normal measurement techniques. That seems like a whopping change--5.7" more pitch (but of course about the same pitch at the original 75% station). 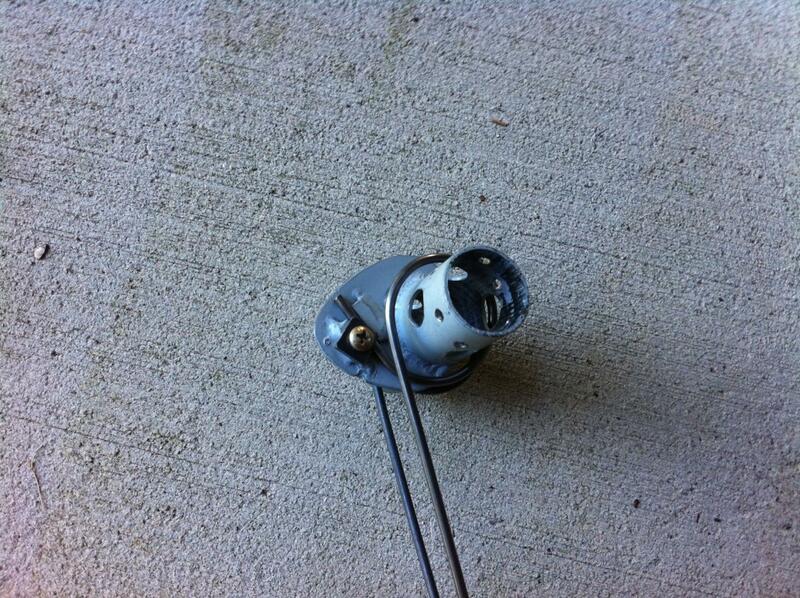 So even though this prop now measures-out as a much higher pitched prop; I get more RPM out of it. Of course, thinning the tips was a big change that reduced tip drag so it's not a good controlled test. I have kept track of prop sizes as people discuss them and you won't find very many specified at 81.7" pitch. Jan Carlson, a prop designer who posted a lot on HBA said that the difference between a climb and cruise prop was usually about 2" of pitch.